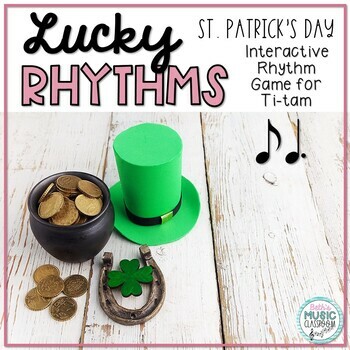 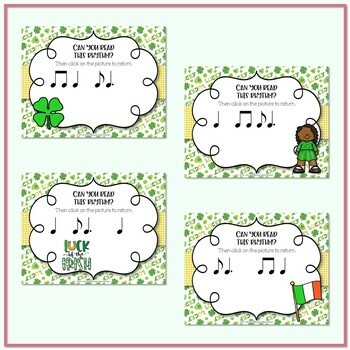 “Lucky Rhythms” is a great rhythm review game for March, celebrating Saint Patrick’s Day. 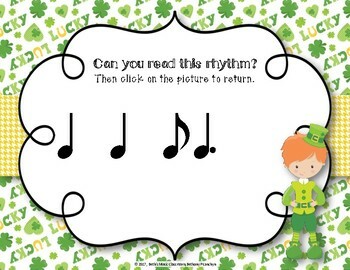 Students select and click on any lucky picture, revealing a rhythm for the class to read. 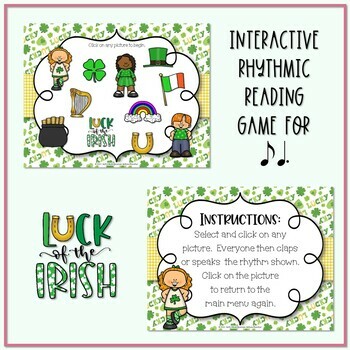 ucky Rhythms - St. Patrick's Day Interactive Rhythm Game BUNDLE - 10 Games!